The most prevalent form of doing business in the Gulf Co-operation Council countries (the GCC) for the foreign companies is to appoint a local agent (the Agent). Effectively, this means entering into a contract with the citizen (individual or corporate entity owned by citizen or citizens) of that country. This legal relationship permits the foreign principals to distribute their products in the region where local market know-how is useful and desirable. The Agent assists the foreign principal in distribution and providing marketing, distribution and after-sales service for the imported line of products. Commercial agency business for the locals is a lucrative business, and therefore the regulation of such activity is pivotal for oil-rich monarchies, where the foreign companies can exploit the resources, and control the trade in the region. The Agent friendly regulations continue to be in force throughout the GCC, however, recent amendments in the commercial agency laws in Oman & Kuwait portrays distinct approach, and in this article, we shall discuss the Commercial Agency Law in Oman. The Royal Decree Number 34 of 2014 (the Decree) came into force, which amended various provisions of the Omani Commercial Agencies Law Number 26 of 1977) (the Law) and the Decree introduced various changes to the commercial agency regime as previously applicable in Oman. The previous legal system had an inclination for and favored commercial agents and therefore to have more balanced approach between the commercial agents and the foreign entity wishing to import into Oman, certain crucial amendments were brought into force by the Decree, as also to avoid market dominance by foreign entities through the use of local agents. The Agents are appointed by the foreign producers to sell their products in the local market to avail the market knowhow, and essentially cater their products to domestic market. The parties are required to register an agency agreement at the Commercial Agencies register at the Ministry of Commerce and Industry to be enforceable, and the Ministry shall issue a certi¬ficate to prove the recorder within fifteen (15_ days as from the date of application. It is important to note that in Oman the agency agreement can be for limited or unlimited terms which can also be exclusive and non-exclusive. The most welcoming provision for the foreign principal of this Decree is repealing Article 10 of commercial agencies law. This provision prominently relied upon by Omani agents where the agency agreements get governed by Omani Law and the foreign principals could only terminate the agency contract when there was a material by Omani agent under the contract, and the foreign 'principal' has no obligation to pay any commission to the agent. The Omani courts have taken a view on the interpretation of Article 10 that unless there is a material breach by the registered agent - any termination was unjustified, and thus the agent’s Article 10 right to statutory compensation from the principal was triggered. Under this Article, the Omani courts have given the judgments where Omani agents have derived two or three years’ net profit from the agency in question, plus reimbursement of any expenditure in respect of capital items which were rendered wholly redundant due to the agency termination. 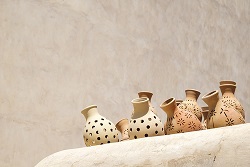 The foreign principals did not appreciate this clause and were reluctant, on account of underperforming agents who were accruing benefits and profits for doing nothing and therefore; as a result, foreign principals have preferred the applicability of non-Omani law regarding contract, coupled with an arbitration clause. Article 14 of the Omani Commercial Agency Law has also undergone amendment. The Omani Council of Ministers is now empowered to assess and monitor the maximum number of agencies permitted for registration under an individual agent. Evidently, this step was taken to ensure they do not gain excessive benefits or advantages by attaining a dominant position which could eventually affect the demand and supply inequity, and further result in increased pricing. The Ministry of Commerce and Industry has notified that the new law shall become effective and will apply to existing principal-agent relationships. 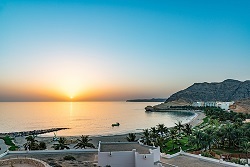 Clearing the Confusion - How is Agency Agreement in Oman Different than Distribution Agreement? As mentioned before the commercial agency refers to the Commercial Law, the Commercial Agencies Law, and the Commercial Register Law, while the Distribution Agreement relates to the general rules in the Civil Law. In the commercial agency, the agent promotes and sell products for the Principal according to the direct relationship between both of them organized by the agreement. Speaking of a distribution agreement, on the other hand, the distributor can distribute di¬fferent kinds of products from di¬fferent sources under the distributor’s name, and the distribution rights are obtained by the principal or the agent. In the commercial agency, the agreement shall organize all the details and shall contain sufficient information about the agent's name, nationality, products, term, and the territory while this is not mandatory in the distribution agreement. The commercial agency shall be registered in the Ministry of Trade and Industry to have legal e¬ffect, while there are no registration formalities for the Distribution Agreement and will be sufficient to be certified by the notary public. STA (the Firm) represents a group of internationally qualified counsels. STA Law Firm Limited is a company incorporated pursuant to Abu Dhabi Global Market Companies Regulations. STA Legal Consultants FZC is incorporated pursuant to applicable federal and local laws of Ras Al Khaimah. The Firm operates in other jurisdictions through its affiliates and associated offices. The Firm has a presence across the UAE and its branch in the Emirate of Abu Dhabi (regulated by Abu Dhabi Judicial Department). The Firm’s trademark and intellectual property is assigned in favor of the affiliates for all purposes in accordance with the assignment agreement. Firm’s Luxembourg and Moscow offices are regulated by the jurisdictional regulations.